Sharjah: An Emirati baby girl, born with a 1.5kg tumour as a result of a rare congenital defect, has turned the corner after doctors at Al Qassimi Hospital for Women and Children in Sharjah successfully operated on her on the second day of her birth itself. Dr Mohammad Hassan, consultant, paediatric surgery, told Gulf News that the child’s tumour was discovered during a routine ultrasound before she was born. “We saw something in the scan, and the mother was informed that her baby had a condition called sacrococcygeal teratoma,” he said. In effect what that meant was that the little one would be delivered with an unusual tumour at the base of her tailbone (coccyx). The tumour, though massive, was not malignant. 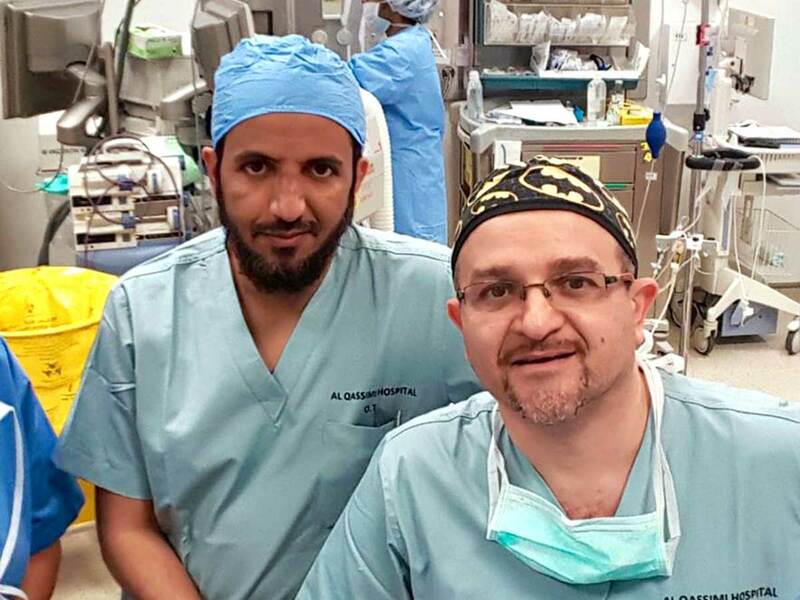 After much deliberations, Dr Khalid Khalfan Bin Sabt, paediatric surgery consultant and deputy technical director and Dr Hassan decided to go ahead with the complex, hi-tech surgery on the baby’s back. After the surgery, the baby spent a week in the neonatal intensive care unit before being discharged. Now at home with her parents, the little girl is leading a normal life without any complications. Dr Hassan said the girl’s parents were initially worried and had to undergo counselling. They lived in another emirate and wanted to take their daughter outside the country for the surgery. But they were convinced that Al Qassimi Hospital for Women and Children had what it took to save her life. Dr Hassan said, “Sacrococcygeal teratoma is a tumour that develops before birth and grows from a baby’s coccyx, the tailbone. It can result in the baby’s death (if left untreated,” Dr Hassan said. This tumour is said to occur in one out of every 35,000 births. 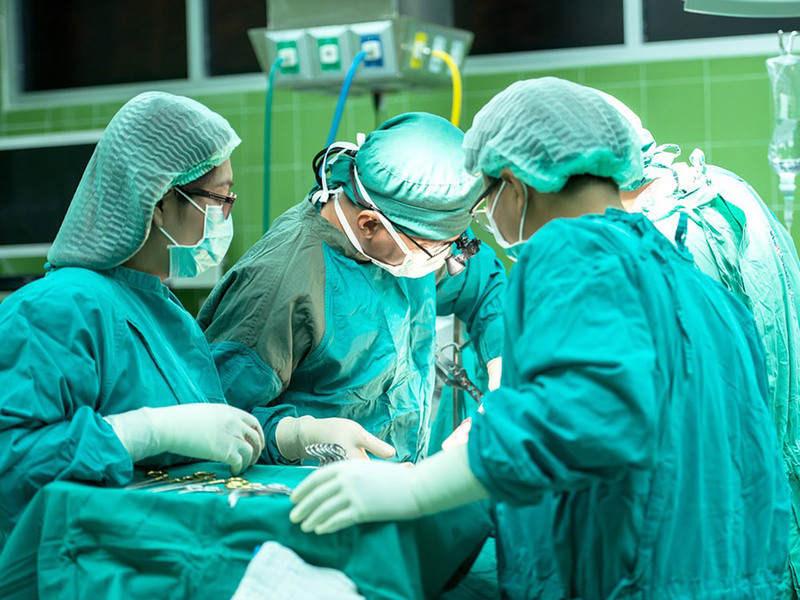 “Congenital defects like these can cause death in 50 per cent of the cases and complications in 70-80 per cent of patients, but this girl was lucky. The operation went off well,” Dr Hassan said. He said some tumours are well-tolerated by the foetus, but in 50 per cent of the cases, they cause problems, obstructing blood flow as it draws on the blood supply to the rest of the body. When the baby was born, she weighed 4kg, 1.5kg of which comprised the tumour mass. Congenital defects like these can cause death in 50 per cent of cases and complications in 70-80 per cent of patients, but this girl was lucky. The normal weight of the child was only 2.5kg, Dr Hassan said. “We are happy that the surgery has presented great results and the baby has recovered well without any complications,” he said, praising the efforts by the team. 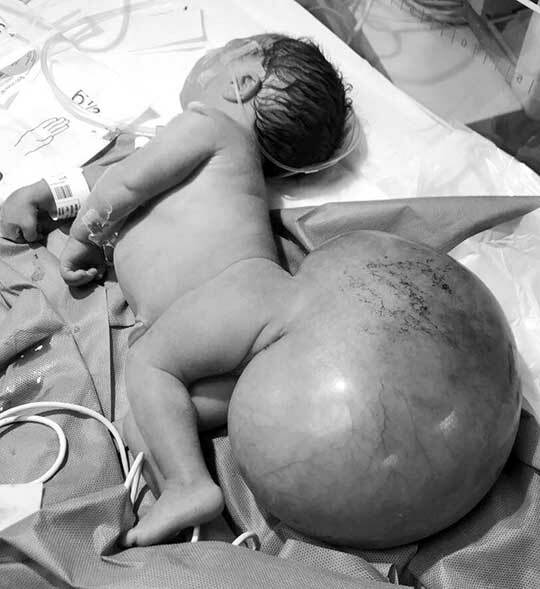 Sacrococcygeal teratoma (SCT) is an unusual tumour located at the base of the tailbone (coccyx) of a newborn. A birth defect, it is reported more among females than males. Although the tumours can grow very big, they are usually not malignant. They can be removed by surgery after birth.